When looking for a hairdresser that you can trust creating a hairstyle for your wedding day you will want someone with experience and flair. Rebecca of Mint Hair Design has been in the hairdressing industry for 15 years and specialises in bridal work. 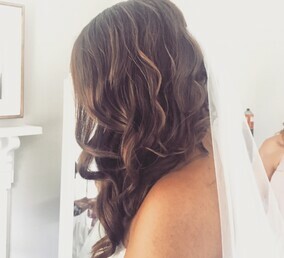 For the past 15 years I have worked in the Waikato region as a Senior Hairstylist successfully running my own business for the past 5 years, specialising in Bridal Hairstyling. 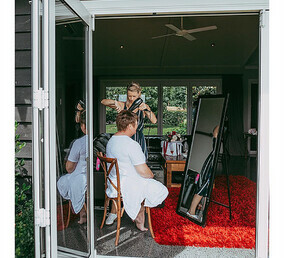 This year (2018) the salon is relocating to Christchurch but can travel within the greater Canterbury area too for bridal hairstyling work. As a point of difference I offer to do all my bridal work at the place where you and your bridesmaids are getting ready, so that there is no stress about getting to the hairdressers on time. By coming to you I will work in with your schedule so that you can relax as everything comes together before your eyes. After all, a bridal hairstyle is more than just a simple style - it needs to be especially designed for you so that it holds memories, emotions and makes your day even more magical.